There’s so much shopping we all have to do every now and then. There’s seasonal clothes, shoes, home stuff, stationary, school stuff and of the regulars, groceries, toiletries and staples. While, we all have mastered the art in our own grasp, but with a few tips if we can get better at it and end up saving a little more money, wouldn’t it be great? Here are some practical shopping tips, some original, some read, but all tried and tested. Make a list before you step out of the house – Mostly all shopping tips will begin by telling you to make a list. How much ever sharp your memory be, you will invariably forget something and double-up something. It’s just so human. 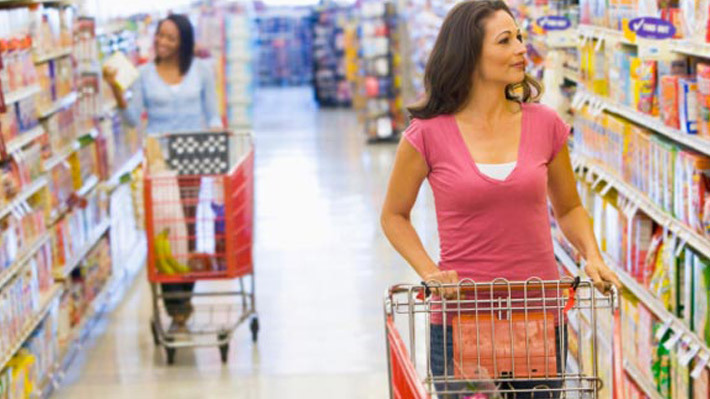 A shopping list will ensure you stay on track. Even if it sounds boring, make the list. Just do it. Chalk out a budget – Yeah, yeah… another boring tip again. But a budget will stop you from impulse buying. Here’s what you can do. Write down the amount you want to spend on a Post-it and stick it on your screen while shopping online, or, write that amount on the top of the list you are carrying in-store. Whenever you get tempted to pick up something out of the list, you’ll first look at the money you have in hand. It’s a great temptation controller. Prepare checklists – Create a pantry checklist on your mobile device or on your computer. This way you can take a printout and check against each item or just mark on the soft copy. You won’t have to create a list every time you go shopping. There are several apps also available to help with your shopping lists. Buy wisely – Do not stash up just because it’s available cheap. Check with your frequency of use and quantity of use. Buy in bulk only if excess makes sense as per usage pattern. Most things will go bad if stored for long which is a complete waste of money. Make a spreadsheet – Create a spreadsheet with all columns having the names of different stores and all the rows having items you shop for on a regular basis. The first time it would seem like a taxing exercise, but it will give you a fair idea of how much you are spending every week and which store gives you the maximum savings. When you compare the results, you’ll see that the exercise is totally worth it. Buy a mix of fresh and frozen veggies – While you can enjoy salads and sandwiches made from fresh veggies at the beginning of the week, frozen veggies will come in handy in later half of the week. Crock Pot meals – Cut some veggies, throw in some herbs and spices, choice of your meat and put them in your slow cooker. By the time you get back from work in the evening, your freshly cooked meal would be ready. It’s healthy and saves a lot of money by cutting back on eating out. Coupons, coupons, coupons – Check coupons for everything you are buying. Coupon apps like GeoQpons help you easily get the coupons you need from a sea of discounts and deals. Try store brands – Store brands are usually cheaper than popular brands that charge you for their advertisements. Carry your cloth grocery bag every time you go shopping.